Fashions R Boutique owner Juanita Morris sets out merchandise in her new Florissant location, after her original store burned in the riots following the Darren Wilson grand jury decision in November 2014. Owner Juanita Morris shows off a new dress at the recently reopened Fashions R Boutique. The new Fashions R Boutique is 6,000-square-feet, much larger than owner Juanita Morris' original location. The new Fashions R Boutique is located at 11833 New Halls Ferry Road in Florissant. 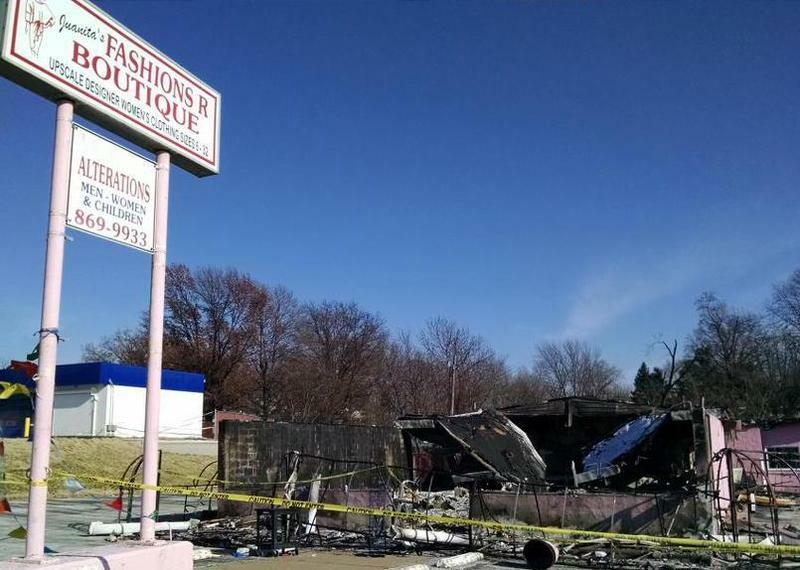 Juanita Morris' business of 28 years burned in the riots following the Darren Wilson grand jury decision on Nov. 24, 2014. Jewelry and other accessories line a wall at the new Fashions R Boutique. Hats have their own display area in Juanita Morris' new Fashions R Boutique, which recently reopened. The new Fashions R Boutique has a room just for shoes and accessories. The new floor room at the recently re-opened Fashions R Boutique has plenty of display space for new clothing and other accessories. “See, I started with nothing, so I know how to build from nothing, so what I did is I just kept the faith and said, ‘If I have to do one suit at a time, one shoe at a time, one necklace at a time, one hat at a time, I’m going to rebuild,’” she said. After nearly a year in a temporary location, Morris recently reopened her boutique in a 6,000-square-foot building at 11833 New Halls Ferry Road in Florissant. The store boasts large display windows showing off dresses and purses, a full wall of hats, and a room dedicated just to shoes. Morris has even reserved a space for shoppers’ companions to wait, complete with large couches and flat screen TVs. Another new feature she is quick to point out: a track-like, circular pathway that guides guests through her large show room full of merchandise. “I made a pledge that I was going to rise from the ashes and I rose from the ashes,” she said. Listen to Juanita Morris discuss her efforts to reopen her business. But Morris said she didn’t do it alone. She said she relied on her husband and four sons. She called her store manager Bertha and alterations tailor Sylvia her “backbone.” Loyal customers put in special orders and Morris put that money back into the business; other patrons chipped in to help in the rebuilding process. On top of that was the financial support Morris said she received from local donors like Ameren and Believers Temple. A GoFundMe account was set up for her store generated donations from across the country, and the professional fraternity Phi Beta Sigma also donated $20,000. “Plus with the insurance money, it was an easy process for me, but a lot of hard work,” she said. The only local leader Morris said checked in on her was Dellwood Mayor Reggie Jones, who Morris said even visited her new store. Jones was among the first to call for regional and state assistance for business owners affected by the riots, holding a press conference the day after Thanksgiving last year. By Morris’ account, that assistance didn’t come to the extent it was needed. She said the only state funds she received were for the demolition of her destroyed store. This wasn’t the first time Morris said she has felt officials could have done more: she said officials did not do enough to protect local businesses during the unrest. The lack of such support from officials – namely in the form of funding – is why Morris thinks rebuilding by other affected business owners on West Florissant has been so slow. “It was a slow process for me, so I would assume it would be a very slow process for them, and I don’t know what type of insurance or what type of support they had,” she said. It’s part of the reason why Morris decided not to return to West Florissant. Still, Morris said her old stomping grounds will rebuild, and she urges other business owners to have faith. 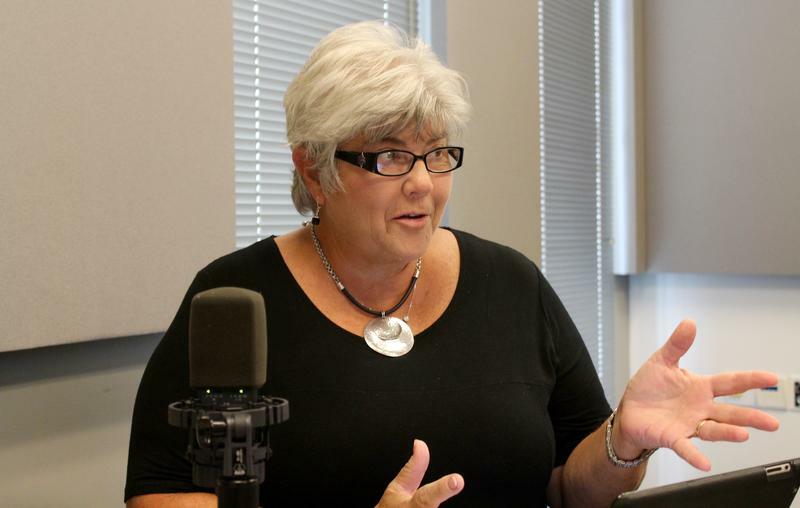 On the latest edition of Politically Speaking, St. Louis Public Radio’s Jason Rosenbaum and Tim Lloyd welcome state Sen. Gina Walsh, D-Bellefontaine Neighbors, to the program for the second time. She represents the 13th District, a north St. Louis County area that encompasses portions of Ferguson and Dellwood. Walsh spent nearly three decades as part of the Heat and Frost Insulators and Allied Workers Local #1, and she's currently the president of the Missouri State Building & Construction Trades Council. The St. Louis Port Authority has designated $500,000 to help clean up portions of Ferguson and Dellwood. After a grand jury decided not to indict former Ferguson Police officer Darren Wilson, portions of the two cities were looted and burned. Several months later, some of the burned-out structures still remain in ruins in Ferguson and Dellwood.